Hello everyone, my knowledge is very basic, but I think that with your help I will be able to solve it. The point is that I want to improve my Foam cutting tool. 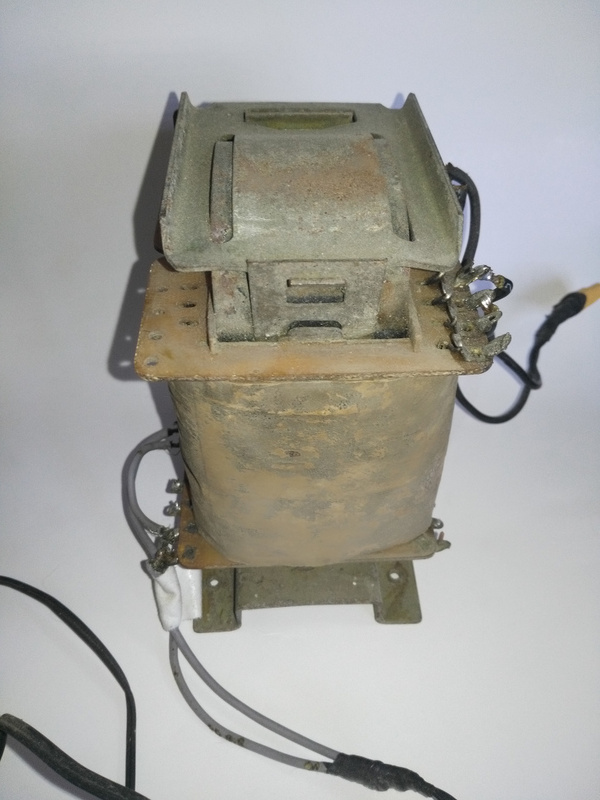 As there are no commercial transformers here, I have this old Soviet transformer from a Krim 218 TV. I also have an old Russian projector that has a transformer with a 6V output that I use to heat a shorter resistance of about 30 cm. 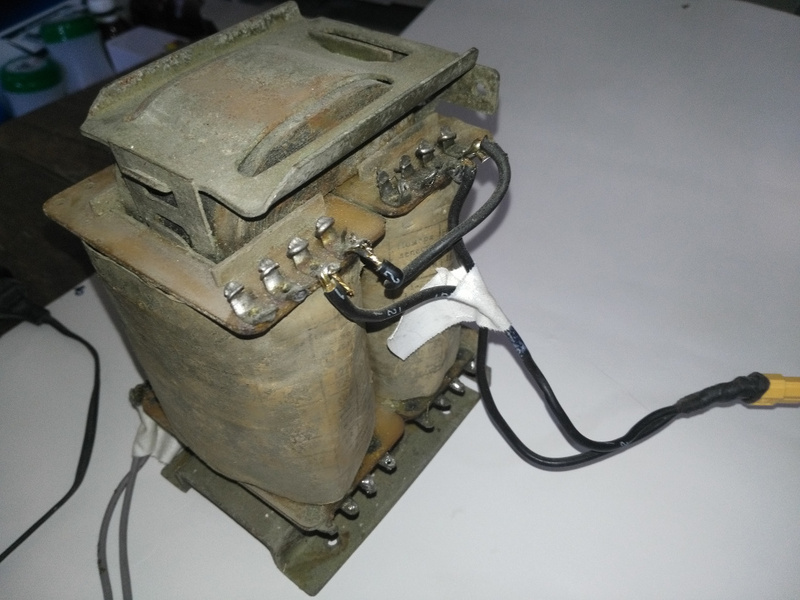 The 12V transformer I use in a cutting arc of about 70 cm with a fine nicrom wire or guitar string indistinctly (no apparent differences). The problem is that the bow wire is heated just enough to cut, but it feels like not enough power. Here in Cuba everyone claims to use it that way, but to me it doesn't give me maybe all the result I expected because the cut is extremely slow. Maybe it's a mistake in the way the cables are connected. 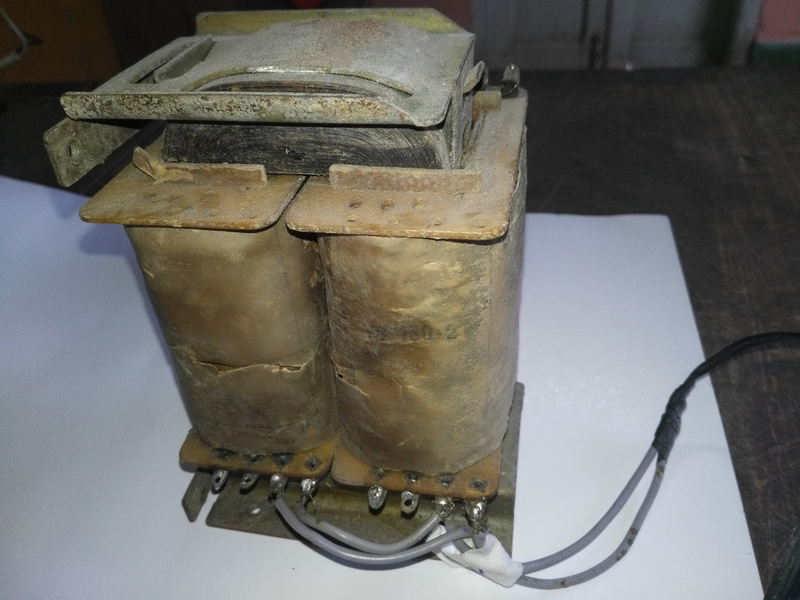 This is the TV transformer that I feed with 110V and according to the person who sold it to me, it gives an output of 12V with ??? A. Are the connections made correctly, in such a way that it gives me the maximum amperage for 12V....??? Could I also get another 6V output for this transformer to avoid using the additional transformer for the shorter hot cutter tool? Or better still, to have a "potentiometer" able to regulate the output of the transformer in a variable way of 3 - 6 - 12 V, etc... ?? Forgive my ignorance and thank you in advance. That looks pretty old and worn out from the pictures!! Not sure it is safe to use ?? You might end up with a fire. Can you find a car battery charger? With a car battery charger you just put each connector on opposite ends of the cutting wire and use the 2 AMP setting and that will cut most low density foam. Higher amp settings for higher density foams. Be careful with that transformer you have in the picture!! If you can get a meter you may be able to figure out how to get more volts or amps and then solder your wires where you need them. Thanks for the concern guys. I know it looks old and worn but it works propertly. The only way i am using it is because there are not more alternatives for me. This will sound stunning, but in Cuba there are people who use these televisions and keep them in perfect technical condition. I use it in a clear area, with out fire risks. I have being using it for all my proyects without issues, just low power output. Thanks againg for the advises but i afraid not alternatives for me..
Any other advise about how to conect it propertly...? Normally the input tabs are there to allow a transformer to be set up for different input voltages. In the old days a single transformer would be wound to suit every mains supply voltage to be found around the world and the tags would be adjusted at each location for the local requirements. If it works with you electric supply DO NOT change them unless you know exactly what you are doing! As transformers give out AC current you could have a single diode in line with the output when you required a lower voltage for a shorter cutter. In addition and only if required you could find a few low Ohm high wattage resisters to also stick in line with the output to further reduce the voltage in operation. A little more elaborate but possibly easier solution for both the heat and output requirements would be to use the transformer to make a battery charger for a car battery and then use the car battery to drive your cutter. To limit the output for smaller cutters you could use a simple regulator of suitable capacity or a bank of low Ohm high Wattage resistors! Thanks for the answer. I understand only the half . My electronics skills are almos null. I think that the input tags could be correctly. Now, the output has also 4 tabs on each coil. Could it be any way to get 6 V from those tabs? Forget about the potentiometer to regulate the variable output V. i will be happy only geting 6 and 12V, maybe 3 V.... but just 6 and 12V will be allright. The only advise I would offer is to measure the transformer output using a multimeter to determine what voltages it is capable of. One thing to be aware of is that any measured voltage will drop under load. If the load is light the change will be minimal but if the load is high the voltage drop could be considerable upto 5 to 10% It all depends on the design of the transformer! 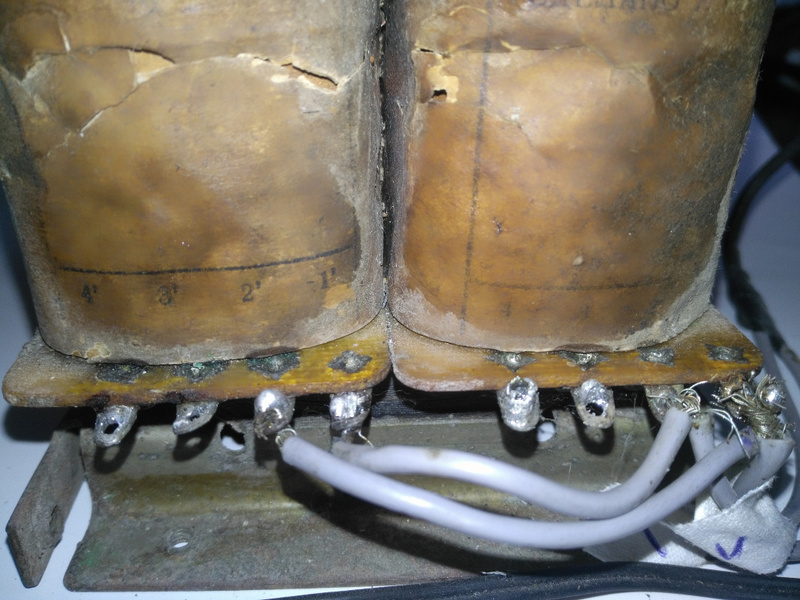 If you can find any label or technical info on the transformer I might be able to advise further! Thanks, i will take your advise. Will try to mensure the output tags. Any advise or diagram about how to mensure ir property? or just random? There are some labels but are in russian... and also are really hard to read due to it is really old. I do not know what convention the Russians use but the convention I was taught for European and US transformer assembly leads me to think that you need to measure the AC voltages on one coil with one probe held on one of the end tags and then measure the other tag voltages without moving the first probe. The other coil should measure the same. THEN put the fixed probe on the wires linking the two output coils and measure the voltages from there! There is one more series of measurements BUT it depends upon the results from the first two series of measurements! ok ok i got it... or at least an initial idea to start. Maybe a diagram would welp me more but it is to much asking for one day . Will try it soon. I have to ask a friend for the multimeter. Mine broke. As soon as i got it mensured, will post updates. Good luck. I forgot you were in Cuba. As a whole different way of coming at this, I was also frustrated at getting low power out of a transformer for hot wire foam cutting. So I started connecting my LiPo batteries directly to the nichrome cutting wire and had very good results - but could only cut for a couple minutes before the battery needed recharging. The 14" inch wire I had worked great with a 3s battery, but the 30" wire cut better on a 4s. Depending on how long (and how thick) of a wire you are using maybe even putting two 3s batteries in series to get a 6s voltage might work. Just make sure you can disconnect the battery quickly with a switch or plug in case the wire starts to glow red and get too hot! I read about it sometime ago, and also i tried it. But gave me a low temp. Having said that, I think the problem could be the wire I'm using, maybe it's too thick. I have to go see a friend who is using the same transformer as me. I'm going to see the size of the wire he's using and the configuration of the connections. using batteries is a risk i cant take right now but thanks for the advice. For the wire size, I had the best results using the guitar small E string sized wires - and I understand about not putting the batteries at risk - they are difficult to replace down there! that;s it, i am using right now an old electric guitar E string. don;t know what size exactly. It cut the Foam but slowly. I need to double check with my fried to be sure.